Sometimes in the late afternoons, I get an urge to snack. 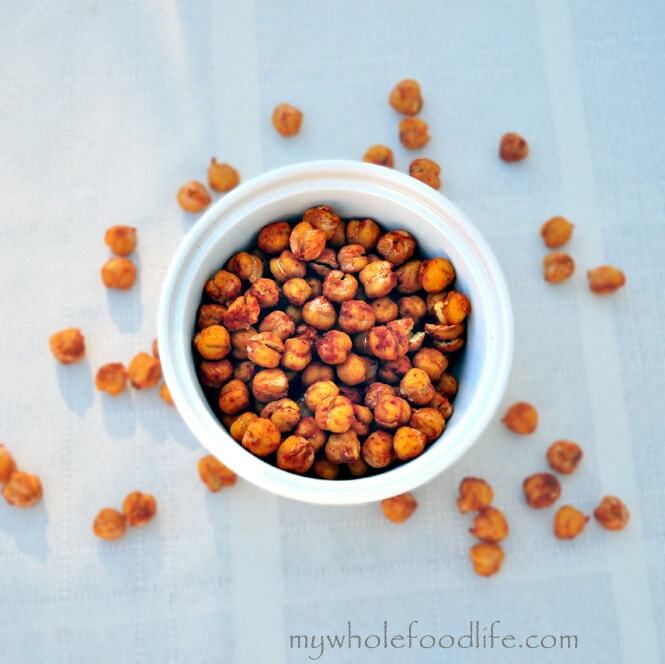 Roasted chickpeas are a great, healthy snack alternative. They can be done sweet or savory. I made a sweet version with my Maple Cinnamon Chickpeas. This is a savory option. I am warning you, these are highly addictive! They are very easy to make. If you don’t eat them all at once, you can store them in a container with rice scattered at the bottom. The rice will help absorb the moisture and keep them crispy. In addition to the spices I list, you can also add a pinch of cayenne if you like some extra heat. 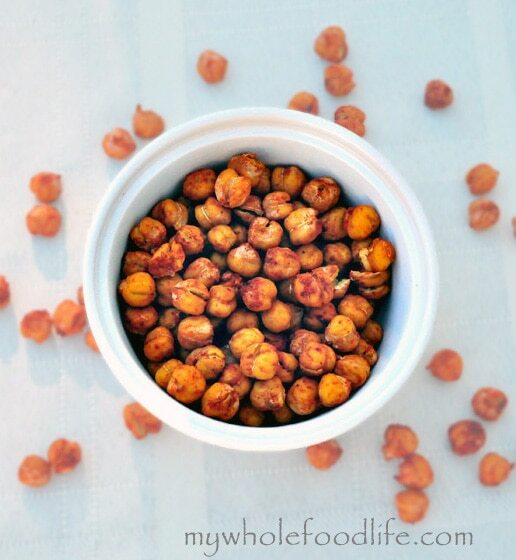 For a sweet version of roasted chickpeas, check out this video. In a bowl, mix all of the ingredients. Make sure all beans are coated well with spice. Bake for about 40-60 minutes, stopping to shake the pan every 15 minutes. Wait until beans are completely cooled before storing. I store mine on the counter in a glass mason jar . This makes about 4 servings. Enjoy! They are sooo good when they are crunchy ! Addictive too! I found a recipe that uses no oil but 1/4 c of light soy sauce with lime or lemon juice & 9 different spices it is so good. I will check out the siracha recipe. Should the peas be drained before use? Drained and rinsed? Hi! How long do they keep in the jar?